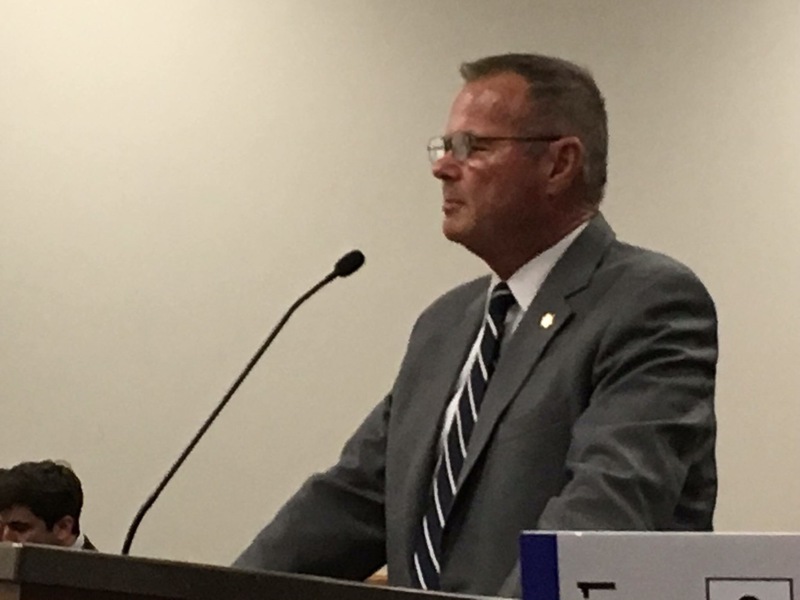 Norco– Riverside County Sheriff Stan Sniff joined the City of Norco’s City Council meeting this past Wednesday, October 18. He traveled there at the invitation of city council to speak at the beginning of the citywide meeting. Sheriff Sniff opened his visit by first sharing a brief history of the Riverside Sheriff’s Department’s fifty year contract partnership with the City of Norco. For the next 30 minutes, Sheriff Sniff spoke to the Council and resident attendees of the meeting about a series of current topics. Relevant topics included police joint power authorities (otherwise known as JPA) considerations, contract policing issues, and local police studies gathered over a number of years. Sniff talked about how important it is for elected officials to understand how the Sheriff’s Department contract policing differs from cities having their own police departments. He said he understand that most cities want the Police Chief and Sheriff staff to be intentional about the local needs and opportunities that present themselves daily. Riverside County Sheriff Sniff also spoke briefly about the recent Board labor imposition in the news. Also on this date October 18, Sheriff Supervisors had just imposed a one-year contract on Riverside County Sheriff’s Union. This agreement came after 16 months of unsuccessful bargaining between Riverside County Board and the Sheriff’s Union regarding overtime pay, salary step increases, and SWAT standby compensation, among other issues. This one-year imposition offers a brief “agreement” and a pause in the fight to reach a more final contract. Sheriff Sniff commented on mutual aid and that Riverside County Sheriff’s is a pure source of outsourcing with a flexible menu of services. After the meeting, Sheriff Sniff answered questions from council members. « Payoff Home Loan Early!